Winner of the World Fantasy Award for Best Novel. 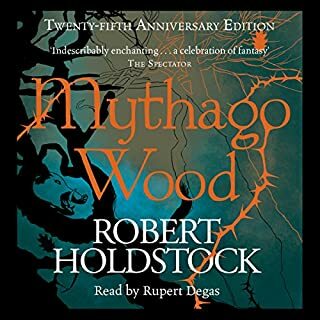 Mythago Wood is regarded as one of the finest fantasy novels of the 20th century. Deep within the wildwood lies a place of myth and mystery, from which few return, and of those few, none remain unchanged. Ryhope Wood may look like a three-mile-square fenced-in wood in rural Herefordshire on the outside, but inside, it is a primeval, intricate labyrinth of trees, impossibly huge, unforgettable... and stronger than time itself. The story was very well written but the narrator brought it all to life. I’ve listened to many audio books and can honestly say Rupert Degas has such a range of voices that brings each and every character alive. It's not easy, being king. You can't always rule a kingdom and still do what needs to be done. Eric - or King Halar, also known as the Demon King - has more than enough problems without the crown. But quitting the job of king isn't easy, either - unless you want to be beheaded. Most people regard that as an unsatisfactory way to quit. Even vampire lords tend to be cautious about guillotines. A king who loses his head has a real problem...or none at all. 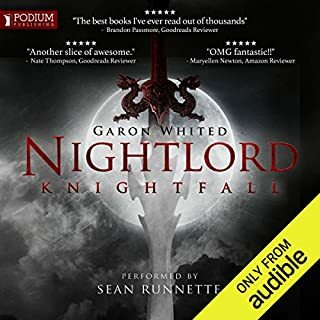 Love the night lord series, but this one had more technical description than story. Hopefully next one back on track. 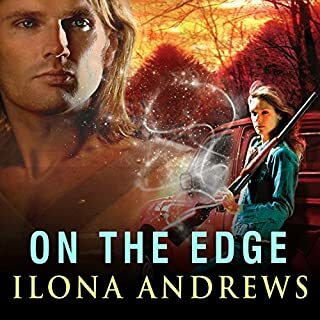 Rose Drayton lives on the Edge, between the world of the Broken (where people drive cars, shop at Wal-Mart, and magic is a fairy tale) and the Weird (where blueblood aristocrats rule, changelings roam, and the strength of your magic can change your destiny). Only Edgers like Rose can easily travel from one world to the next, but they never truly belong in either. Drafted into working for the Order of Merciful Aid, mercenary Kate Daniels has more paranormal problems than she knows what to do with. But when Kate's werewolf friend Derek is discovered nearly dead, she must confront her greatest challenge yet. As her investigation leads her to the Midnight Games---an invitation-only, no-holds-barred, ultimate preternatural fighting tournament---she and Curran, the Beast Lord, uncover a dark plot that may forever alter the face of Atlanta's shapeshifting community. Magic strikes, burns and bites. This book is the third in a wonderful light sci-fantasy series,that grips you from the very start. It is a combination of future fantasy, adventure, loyalty, and romance with some blood letting and action to keep you turning pages quickly. Its all wrapped up and delivered in the humorous dialouge that the lead character "Kate" gives, as you listen to her thoughts. I have squirmed with embarrassment and laughed out loud at the situations she finds herself in. This dialouge has improved as the series has progressed and as the relationships develop between the characters. There is good description of scenes allowing a good imagination to watch it as it played out. I initially felt in the first book that Renee Raudmann had the wrong voice for the characters but as I have listened to her, I have come to appreciate how well her drole accent enhances the drole comments written within the story. She acts them out beautifully, giving the listener a real sense of being part of it and in my mind her voice is "Kate". I waited with real impatience for this book to appear with audible, and almost bought it in paperback form. I'm glad i didnt do it now, as I would have lost the experience of listening to it. Unfortunatley like all good books it comes to an end too soon and so the wait is now on for the next installment. I only hope I don't have to wait too long.